We allow photographers on site after signing a yearly waiver and paying a fee. Nature group fees are different than our Christmas season fees, please call for group rates. For a one-time shoot (one day + rain day), it’s $50, or for the whole Christmas season (multiple shoots in November and December), it’s $100. Photographers will need to sign a liability waiver and pay the fee upon arrival. *One-time shoots, aka one-day sessions, are for the whole day, no matter how many families, but all photography must be completed that day. The seasonal fee is for an all access pass during peak season, it also includes October fall photos. While we are not open to the public until the day after Thanksgiving, photographers just need to set an appointment with us via Email or Facebook. Photographers shooting without paying the fee will be asked to leave the farm. 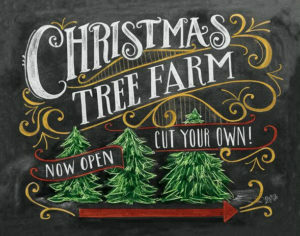 Please remember that after we open to the public, customers will be in the fields looking at Christmas trees. We will “save your date” as we allow no more than 5 professional photographers on the property at the same time. Please RSVP for confirmation and AM or PM times, if possible, thank you!